One sunny Tuesday afternoon The Word Wizard (Ernie to his friends) had a terrible shock. That’s right, the Word Wizard’s own twin brother; the Mathemagician, had stolen his book of spells and scarpered. Left, desolate and alone the Word Wizard is close to despair but you can help! Chart a course through countless levels, casting “spells” to make a path up Alphabet Mountain and recapture the poor Word Wizard’s spell book, collecting scrolls as you go. Get going and you could be a prime factor in the Mathemagician’s reduction too! 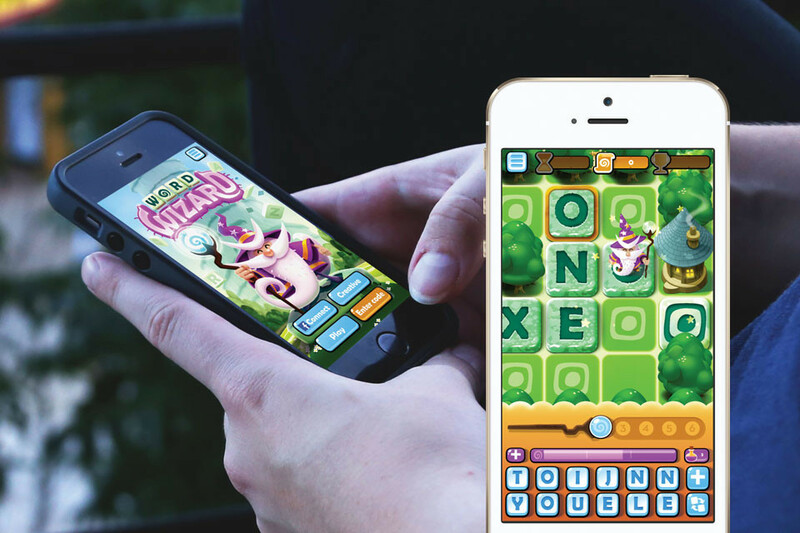 This game challenges you to create a path for the Word Wizard using letter tiles placed as “Spells” though an initial hundred levels. You can also test your own design skills by designing levels yourself to share with friends.